First I think the term Paganism should be defined. 1. An adherent of a polytheistic religion in antiquity, especially when viewed in contrast to an adherent of a monotheistic religion. a. One who has no religion. b. An adherent of a religion other than Judaism, Christianity, or Islam. Now there are many branches of Paganism. It’s whatever you prefer to call yourself or what your beliefs are. 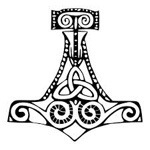 Myself, I am a Heathen believing in Ásatrú which is the beliefs in the Norse-Germanic deities. I was also a Veteran of the United States Army in a time that paganism of any form was not accepted. Upon my discharge from the Army , the Wiccan beliefs were just starting to become recognized by a very Christian military force. You were either deemed a satanist or atheist. Which in contrast is an oxy moron. I personally did not find my path until I had been out 7 years (no time is right and no time is wrong). Now I’m hearing that Paganism is becoming more accepted throughout all branches, which excites the hel out of me! In a Christian sense, Jesus taught religious tolerance for ALL religions. Let me say that it’s easy for me to put this together because I was a Catholic when I served. So me personally, I always have the counter response when asked questions. I think it would be amazing if the US Military introduced Pagan Chaplains in to accommodate ALL religions, not just those of accredited faiths by the Christian community. I’ve taken accounts of a few service members who will be protected under the Stolen Valor act. I will not give names or ranks out. For our living heroes, it saddens me that no matter how many tours they’ve done or how many years they’ve done, they are still not accommodated in our faith. Sumbels in the Heathen/Ásatruar path are strongly prohibited but there’s ways around that while deployed. I believe ALL forms of paganism should be allowed to openly and freely practice. They’re all fighting for the same cause, why not let them pray to whatever god they choose? One Marine told me he actually practiced more while he was deployed, stating that his subordinates would make sure he practiced before missions because they saw that it was working. Coincidence? I think not. Though not accomadated state side, I’m getting accounts of these brave men practicing on their own without fear or repercussions of practicing a non-Christian belief system. 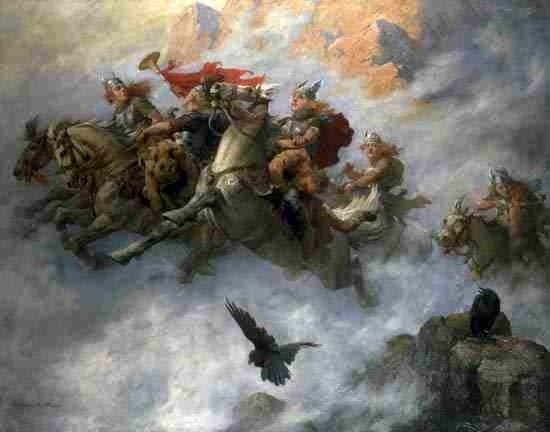 Heathens are often labeled Nazi’s because of the third riech bastardizing Ásatrú and just out of pure ignorance with a totally misconceived notion that not all, in fact, most Heathens are NOT racist in any way, shape or form. If the military were not so secular in their beliefs, I know a good amount of the boots on the ground would not be afraid to openly practice their faith and continue on their paths. HAIL ALL ACTIVE DUTY/RESERVE/NATIONAL GUARD! HAIL THE GODS AND GODDESSES! This entry was posted in Germanic Pagan Religion, Heathens in the Miliary, Posts by Asfridr and tagged Germanic pagan religion, heathenism, heathens in the military, paganism, paganism in the military, the northern grove on November 5, 2013 by asfridrgodardsdottir. I have a friend whose husband recently passed away. He was a Methodist when he started his military career but followed a Wiccan path before he died, she has a certificate stating that he attained his first degree in his path. The Army will not change his religion in his records. Needless to say she is having a hard time with the Army about this.